I am back on track health wise, but struggling to get my creative mojo working. I have heaps of projects but finding no interest in carrying them out. I am sure it happens to all of us when we have a break, or we have been working hard. 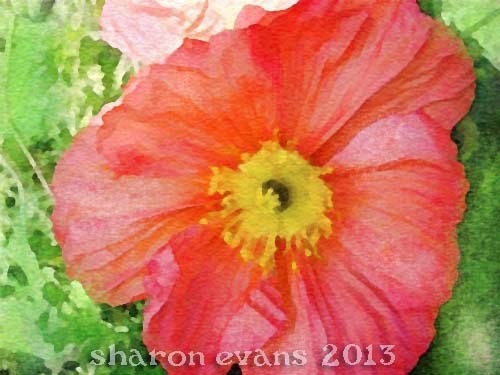 Over the years I have found that going to my watercolours or gouache paints and painting the flowers in my garden help me. I am sure that the colours spark the inner soul and get me thinking “what if….” So here are some flowers from my garden I’ve done over the last week or so. Hopefully, next week I won’t have the reluctance to pick up my brushes and am able to get back on track. So have a great day and today I am linking this post to the wonderful artistic souls at Paint Party Friday. 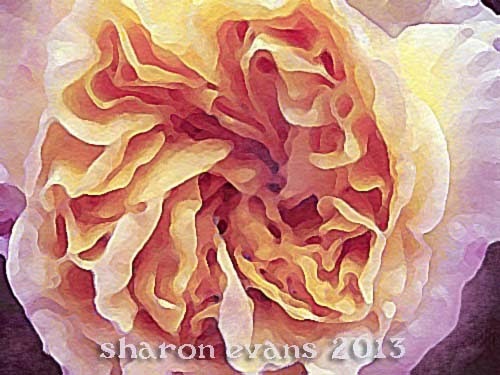 This climbing rose made me tear my hair out in frustration, I had 4 goes! 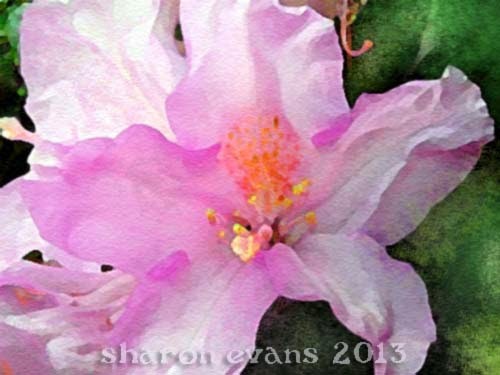 The first year that this Rhodo has flowered. Hope you are feeling better, dear Sharon! We all knows this times, when inspiration and healing power is missing. Your flowers are so full of beauty, may your inner child also shining! I hope you are on the mend Sharon I haven't seen you at ppf for a while but perhaps I just missed you as I've not had as much time to visit as many folk as I'd like. Anyway those float paintings are stunning. Are they done by hand or digitally? The tea Rose especially is incredible and I really like your little illustration of the cute person deliberating over picking up her brushes! Always love your flowers, very nice! 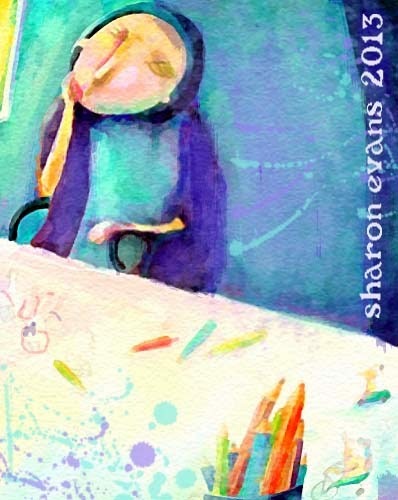 Such beauty here Sharon, your creative juices are definitely flowing! Your flowers are just so outstanding and you definitely have your creative juices flowing. I love the first painting of the girl sitting there looking as though she is contemplating some thing or other. Great job. glad to hear you're doing better. Your flowers are so intricately detailed-really gorgeous!! I am so glad your health is improving. Stay well now and have fun arting!Happy PPF. Wonderful flowers, beautiful translucent colors, delicate lines! So very beautiful..your pieces are so stunning..your flowers are incredible! Very inspiring works! Glad to hear you are feeling better..keep shining! As gorgeous as your painted flowers are...I am LOVING that top illustration of the woman sitting in a chair thinking!! She would make amazing " Thinking of You" cards...!! So glad you are feeling back on track...your creative self may have had to sit back and wait until you are up to par before it returns!! Have a great week! Your florals are amazing! That climbing rose is so gorgeous. I'm glad you're feeling better and getting back into the swing of things. Awesome rose. Awesome flowers! Your painting just exquisite ! Stay well! Beautiful paintings Sharon. Winter can be hard on joint pains.I hope you get better soon. Thank you for tyne birthday greetings! Your flowers are stunning! Hope you feel better soon!